Lock in a great price for Econo Lodge Inn & Suites Saint John – rated 8.2 by recent guests! We had stayed here for business before, but the drive up room we got this time was much better suited to our needs and to my comfort standards. The space was as clean as a button, quiet, comfortable beds, good shower, kitchenette, rocking chairs... I couldn't have asked for more. Best part was we got a surprise adjoining room with friends that made the evening hours especially enjoyable. Very pleased with the stay. Reception staff was very nice. The room was a good size and clean. Breakfast was ample. The breakfast is good and facilities of room are satisfied. The location of motel is quiet and have a good view. But quite far from the downtown. There were lots of choices for breakfast. The manager was very nice. Breakfast was included which was important to us. The waffle maker was a hit. very clean- calm - nice view on landscape - The breakfast was good and i love the room with its new accessories and nice flat screen tv - room with double entries very practical. Great budget motel. Spacious rooms, wonderful view from parking lot and window of room. Easy access from highway quiet and easy check in even late at night. Small but at least a breakfast in am included in price of room. Rooms had kitchenette and clean except for a hair I found in a bed. 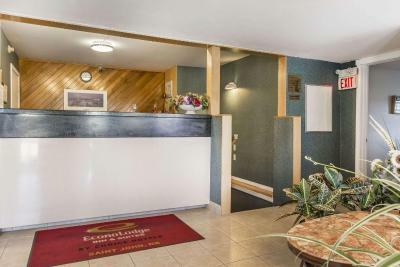 Econo Lodge Inn & Suites Saint John This rating is a reflection of how the property compares to the industry standard when it comes to price, facilities and services available. It's based on a self-evaluation by the property. Use this rating to help choose your stay! One of our best sellers in Saint John! 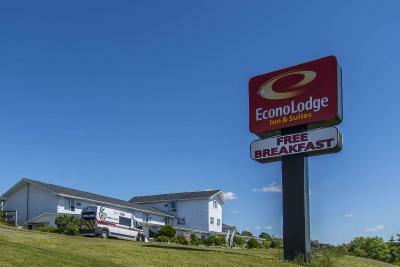 Located 10 minutes from the Saint John city center and the Bay of Fundy, this smoke-free Econo Lodge features a daily breakfast buffet and an outdoor picnic area. 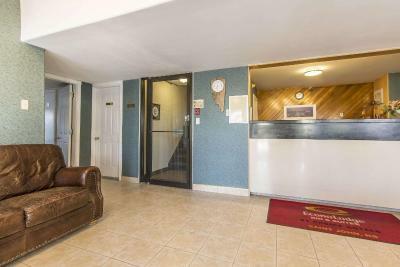 Rooms at the Econo Lodge Inn & Suites Saint John are equipped with free Wi-Fi and cable TV. 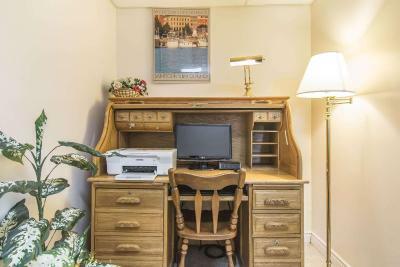 An in-room coffee maker and a work desk are included. Free coffee is always available to guests. A business center and guest laundry services are also open on-site. The Saint John Econo Lodge is less than 2.5 miles from Reversing Falls and less than 5 miles from Irving Nature Park. When would you like to stay at Econo Lodge Inn & Suites Saint John? 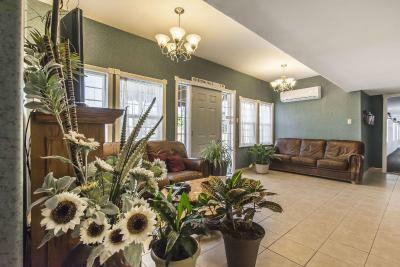 Room includes free Wi-Fi and a TV with cable channels. A coffee maker and a work desk are standard. 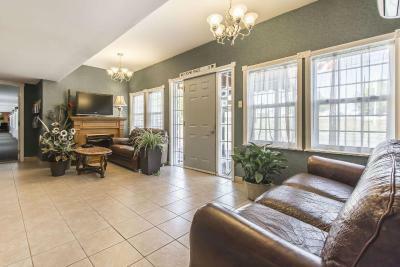 House Rules Econo Lodge Inn & Suites Saint John takes special requests – add in the next step! Econo Lodge Inn &amp; Suites Saint John accepts these cards and reserves the right to temporarily hold an amount prior to arrival. Econo Lodge Inn & Suites Saint John accepts these cards and reserves the right to temporarily hold an amount prior to arrival. Comfortable bed and room clean full kichenette. Nice big bathroom. 2 minutes from shopping and restaurants. Very clean. Pleasantly surprised. Nice to pull up to the door to load and unload. Phenomenal breakfast for this type of motel. The bedspreads were heavily stained but luckily there were heavier bedspreads in the cupboard and they were great. The hotel is old and it shows. The evening/night staff. Didn't get her name that's how unfriendly she was. It felt like we were a bother to her when she checked us in the night we arrived. It was a good bang for your buck. The reviews were correct. Comfy beds hot a great night sleep for the three nights we were there. Easy to locate. Friendly staff. Great scenery. Good breakfast and very quiet. It was a clean overnight stay and great value. Great location, easy to find, friendly staff,very polite. Breakfast was pretty basic - the worst we experienced on our three week holiday. I personally have nothing bad to say about this place, we had a great time, finally got some sleep in the super comfy bed (which prior to our other places that we had stayed on your trip we did not sleep as well as we could have). My husband and I were on the ultimate road trip and the econo lodge was by far the nicest, affordable place we had stayed at. We had a drive up room, so that was great, lots of ample parking to be had in both the front and the back. In terms of location, It can't be beat! We were near everything we wanted to see within a maximum of 15 minutes. There's all kinds of places nearby to shop, eat, get gas, liquor, groceries and some tourists attractions (Irving nature park on the bay of fundy was one of them). Rooms were spotless with ample places to put all of your things, lots of TV channels if you wanted a night in, nice deep bathtub for soaking, I liked that the sink was separate from the bathroom so that you could freshen up/brush your teeth without having to wait on anyone who may be using the other facilities. Room came complete with a fridge and microwave, which was also super handy. The bed was SO nice! Not overly soft, but firm enough that you still got ample support for your back. Lovely pillows as well, although they might be too soft for some people. We were at the back, so we didn't hear any noise at all with the minor exception of hearing other guests leaving but even that wasn't so bad since the bed isn't super close to the window. They have a vending machine for snacks & drinks, ice machine for guests, coin operated laundry and their breakfast is actually really decent for falling under the continental category. During our stay they have a large selection of muffins, breads, fruits, oatmeal, two hot items (hard boiled eggs and beans), cereals, bagels and a make your own waffle machine among other things. Overall for a 2 star motel/hotel it was awesome and great value for the money! Clean, a bit tight for room as aunty had a electric wheel chair. breakfast was good staff were freindly. nice view . Everything was good for the time we were there, staff was very helpful, friendly Next visit I would like the room with wooden floors due to asthma issue with myself ( if it is a drive up room).